Singapore is one among the most popular destinations for tourists across the world. Every year more than 10 million people visit this small island country which is half the size of Delhi! We had earlier done a post on free popular things to do in Singapore. Here, we’ll talk about how to apply Singapore Tourist Visa online for Indian citizens in 5 easy steps. 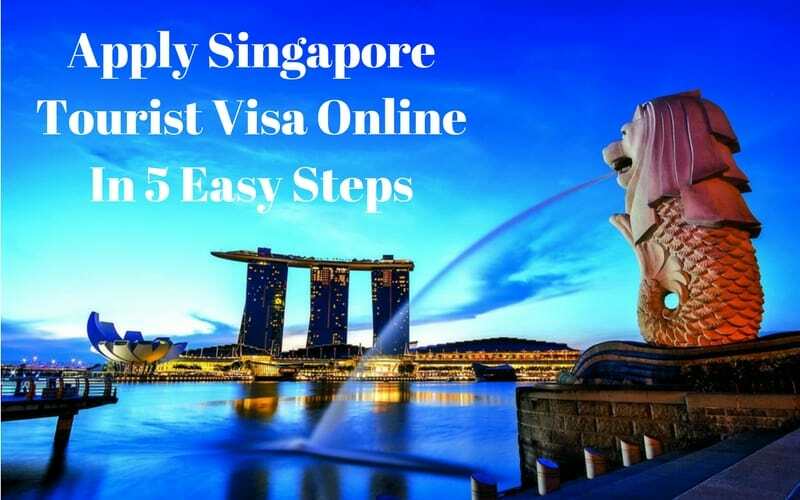 If you are an Indian tourist wondering how to do Singapore Visa application online, then this is the complete guide for you! The High Commission of Singapore in India does not take in any walk-in visa applications. Instead, The Immigration and Checkpoint Authority of Singapore has designated many Authorised Visa Agents and Strategic Partners. Indians can apply for Singapore Tourist Visa online using these Authorised Agents and Strategic Partners. One of the most popular and trusted strategic partners is Thomas Cook India Ltd. The full list of Authorised Visa Agents and Strategic Partners in India can be accessed here. In addition to the Singapore Travel Visa fees of SGD 30 (around Rs 1500 at today’s Singapore dollar rate in India), you’ll be charged an additional service charge of Rs 300 as visa processing fee from Thomas Cook. Select Singapore as the destination country, choose Tourist Visa option, provide your date of travel, select the Thomas Cook branch closest to your location and provide your email address and phone number. Fill the details, make the fee payment online and print the Payment Receipt. Head to the Thomas Cook branch you’ve chosen along with the Payment Receipt and the documents required which are mentioned below. Submit the documents to the branch. You can either choose to get the Singapore Tourist Visa couriered to your home or picked up directly from the branch. You can expect your Singapore Tourist Visa application to take anywhere between 1 day to maximum 5 days to get processed. Please make sure to apply at least 3o days before the scheduled date of travel. It is a multiple entry visa with a maximum validity of 2 years. The Visa allows you to stay and travel in Singapore for a period of 30 days. These 30 days can be utilised through multiple entries over 2 years from the date of issue of the Visa. You won’t have to reapply for a Singapore Tourist Visa within this period. Hope you found this post useful in giving you an overview of the online process involved in applying for a Singapore Tourist Visa. If you have any doubts please address them in the comments below. « How to Apply Malaysia Visa for Indians? All You Need to Know!